Participated in the Technion Excellence Program: March 2001 – July 2003. 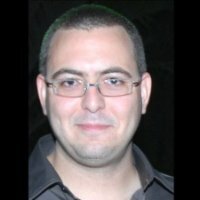 Yaniv started his BSc in Computer Science at spring 2001, and his MSc in spring 03. At this period he was in the Program. While studying in the Program, he took advance courses and courses from other faculties. His graduation projects won the Technion’s prize and were presented on the Israeli TV Science News and newspapers (Yediot and Maariv). MSc and PhD in Computer Science at the Technion, 2010. After his PhD (with Prof. Freddy Bruckstein) Yaniv spent 3 years at MIT, doing post-doc with Prof. Alex “Sandy” Pentland, where they have published over 70 papers and books, and have developed a new science called “Social Physics”. Yaniv's most recent book, and website. Today (2018): Since 2014 I am the CTO and Co-Founder of Endor, an MIT Spin-off, financially backed by Eric Schmidt, that uses Social Physics to revolutionize predictive analytics. In 2017 Endor was chosen as a Technological Pioneer by the World Economic Forum, as well as a Cool Vendor by Gartner.